Au courant updates on events, exhibitions, competitions and news. Objects and details designed for architectural settings from across the globe. need for practical architecture that is more relatable to the common man. climate, the culture and the architect. with the sole purpose of improving architecture and the urban fabric. Printed & Published by Maulik Jasubhai Shah on behalf of Jasubhai Media Pvt. Ltd (JMPL), 26, Maker Chamber VI, Nariman Point, Mumbai 400 021 Printed at M.B.Graphics, B-28 Shri Ram Industrial Estate, ZG.D.Ambekar Marg, Wadala, Mumbai 400031and Published from Mumbai - 3rd Floor, Taj Building, , 210, Dr. D. N. Road, Fort, Mumbai 400 001. Editor: Maulik Jasubhai Shah, 26, Maker Chamber VI, Nariman Point, Mumbai 400 021 Indian Architect & Builder: (ISSN 0971-5509), RNI No 46976/87, is a JMPL monthly publication. Reproduction in any manner, in whole or part, in English or any other language is strictly prohibited. We welcome articles, but do not accept responsibility for contributions lost in the mail. 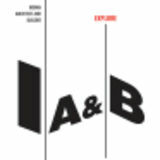 learning in IA&B’s inaugural column on architectural education. essays on his projects of a lifetime in the book ‘Architecture for the World’. through a series of photographic images. Printed & Published by Maulik Jasubhai Shah on behalf of Jasubhai Media Pvt. Ltd (JMPL), 26, Maker Chamber VI, Nariman Point, Mumbai 400 021. Printed at M.B.Graphics, B-28, Shri Ram Industrial Estate, ZG.D.Ambekar Marg, Wadala, Mumbai 400031and Published from Mumbai - 3rd Floor, Taj Building, 210, Dr. D. N. Road, Fort, Mumbai 400 001. Editor: Maulik Jasubhai Shah, 26, Maker Chamber VI, Nariman Point, Mumbai 400 021. Indian Architect & Builder: (ISSN 0971-5509), RNI No 46976/87, is a JMPL monthly publication. Reproduction in any manner, in whole or part, in English or any other language is strictly prohibited. We welcome articles, but do not accept responsibility for contributions lost in the mail. The objective of the Spartacus Alive – international competition organised by the Government of Yaroslavl Region and the UNESCO World Heritage Committee among others, is to revitalise the ‘Spartak’ stadium in the historical center of Yaroslavl, a zone protected under the UNESCO. The competition requires the participant to re-invent the zone by providing a closed space for exhibitions, festivals and fairs. The goal is to create a new pavilion type of which a significant part will be a new exhibition space of the museum of local lore and history of the city. An exciting event in tandem with the London Design Festival is the Tent London known for showcasing the most innovative designs in the industry. Now in its 7th year, the event serves as a significant platform for over 200 established and undiscovered talents to exhibit their creativity. The event is an excellent platform for all the young talent in the country providing them with the a broad visibility. It presents a great opportunity for interaction and learning as visitors are introduced to diverse points of view through installations, inspirational talks, and presentations from country pavilions. Since it is a juried event, the products exhibited are of high quality as they go through a selection process held throuhout the year. International trade buyers and key players from the media and design world are also expected to attend the four day event. Plans to convert the Mahalaxmi racecourse space into a theme park has been rebuked by the Chief Minister Prithviraj Chavan who suggested that the presence of a racecourse in the city was a sign of its metropolitan nature while adding that, “If someone floats a new theme at the time of the setting up of such a park, the possibility of construction of a hotel or an aquarium cannot be ruled out.” The Racecourse is a significant green lung of the city and the Chief Minister is keen on preserving the large open space. About 30 per cent of the racecourse land belongs to the Municipal Corporation, while the rest to the Government. The Municipal Commissioner has also submitted his report on the Mahalaxmi racecourse to the state urban development department in which he clearly refrains from recommending any change in the status of the Racecourse. Museum Designed by Zaha Hadid Wins European Museum of the Year Award 2013 Zaha Hadid Architects’ Riverside Museum in Glasgow, Scotland, has won the prestigious European Museum of the Year Award 2013 held in Tongeren Limburg in Belgium over a period of three days. The EMYA Judging Panel travelled throughout Europe to visit the candidates from Azerbaijan to Portugal, and the Lofoten Islands in Norway to Turkey. The winning entry was selected out of 40 other museums across 21 European countries as it fulfilled the EMYA criteria of ‘public quality’ at the highest level by ‘satisfying the needs and wishes’ of its visitors. According to the eminent jury, the Museum was chosen for its ability to “demonstrate brilliantly how a specialist transport collection can renew its relevance through active engagement with the wider social and universal issues.” The Museum showcases Glasgow’s transport, shipbuilding and engineering heritage and has had over two million visitors since its opening in June 2011. Plan for £1bn Development of Business District in London Farells, a London-based practice, will be teaming up with UK developer Stanhope and commercial developer ABP China to revive the city’s historic docklands into a mixed-use business district. The £1 billion development will eventually transform a 35-acre site at Royal Albert Dock into over 3.2 million square feet of high quality work, retail and leisure space, including 2.5 million square feet of prime office space, in order to create a vibrant 24/7 district on London’s waterways by 2022. The prime location is owned by the Greater London Authority and is situated in the heart of Royal Docks Enterprise Zone. It is the first time a Chinese developer is directly investing in London’s property market. Chairman of ABP, Mr Xu, clearly states that the initiative is to provide the Asian market with a gateway into the Europe in order to bridge the gap between the eastern and western economies, thus enabling the expansion of the Asian economy. On completion of the project, the Albert Dock will have some of the best transport links in the capital providing connectivity to central and western London via the new Cross-rail station coming in 2018. It also benefits from close proximity to the University of East London and City Airport, providing direct links to Europe’s key business destinations. Breakthrough in Elevator Technology May Enable Taller Skyscrapers The Executive Director, Council for Tall Buildings and Urban Habitat (CTBUH) Antony Wood stated that the new hoisting technology that replaces the conventional steel rope used for lifting with the UltraRope developed with a carbon fiber core and a high-friction coating , will enable the construction of skyscrapers above its 500m mark. The new technology can overcome the height limitation of 500m beyond which a steel rope is rendered unsupportable. The new elevator technology introduced by a Finnish elevator manufacturer will enable elevators to travel heights of one kilometer in half the time that is currently possible by elevators that run on steel ropes. The new technology even surpasses the fastest elevator designed by Toshiba and the high-speed elevators of Burj Khalifa, the tallest building in the world. Among its many advantages the UltraRope will have twice the lifetime as a steel rope. It even requires less maintenance that will in turn help reduce material waste and environmental impact. Ding3000 for Discipline, a Germany-based design firm has conceptualised a unique multifunctional chair, the Pocket Chair. UK-based designer Benjamin Hubert challenges the norms of task lighting efficiency with his innovative design, Paddle. lamp that enhances the functional aesthetic of any room, Paddle by Benjamin Hubert, is a chic and utilitarian response to task lighting. The Paddle is modelled after the 360 degree movement of a canoe blade through water, thereby tempering its efficient, sculptural form with the more fluid, compliant character of its proposed use. The stand and the arm are both flexible as it is hinged on a rotating ball. The light is given by a highly powered micro-LED with high intensity and vibrant control of light through capacitive touch. The angle and height of both, the stand and the head, can be separately regulated. The structural shell of the lamp is made of textured, lacquered aluminium so as to soften the bright light source, which is housed in the pressed-aluminium, paddle-shaped head. With the importance it bestows on adjustability, the light affords maximum usability in myriad work environments. Benjamin Hubert has an Industrial Design studio in North East London and relates to a material-driven process, with the studio challenging the everyday application of materials, traditions of construction and ideas of context. Italcementi arcVision Prize – Women and Architecture The arcVision Prize is an initiative of the Italcementi Group, which recognises and celebrates the contribution of women to the field of architecture. Brazilian Architect Carla Juaçaba was bestowed with this prestigious award in its inaugural ceremony on 7 th March, 2013 held in Bergamo, Italy. Scientific Director Stefano Casciani addressing the crowd at the Award ceremony. (L to R) Samia Yaba Christina Nkrumah, Victoire de Margerie, Vera Baboun, Shaikha Al Maskari, Odile Decq, Martha Thorne, Yvonne Farrell, Benedetta Tagliabue. The Jury (L to R) - Odile Decq, Kazuyo Sejima, Martha Thorne, Benedetta Tagliabue, Vera Baboun, Victoire de Margerie, Shaikha Al Maskari, Samia Yaba, Christina Nkrumah and Yvonne Farrell. Good Cause Exhibition: ‘House with Dancing Windows’ Anne Feenstra’s ‘House with Dancing Windows’ was chosen for the ‘Good Cause Exhibition’, an initiative by the ARCHIS Foundation in Kigali, Rwanda, along with six other projects as an example of ‘Architecture for Peace’. he Dutch architect, Anne Feenstra established his own design firm AFIR in Kabul, Afghanistan in 2003 and is also the Principal of arch i platform, a collective for architecture in New Delhi, India which he founded along with fellow architects, Apoorv Goyal, Himanshu Lal, Sneha Khullar and Tanvi Maheshwari. He has taken lectures and has even taught at the universities in India, United Kingdom, Afghanistan, Germany and the Netherlands. (L to R): Architect Killian Doherty, ARCHIS Director Lillette Briddel and Anne Feenstra. Feenstra follows the concept of cohesion in his architecture wherein he involves the locals in the entire building process giving them a sense of belonging. It is for this sense of ownership and unity that he was able to instil in the locals belonging to the conflict zone of Kabul that he was honoured with an invitation to the ‘Good Cause Exhibition’ in Kigali, Rwanda. The exhibition as a part of the ‘Architecture of Peace’ initiative by ARCHIS Foundation brings to focus the thin line separating ‘architecture of war’ from the ‘architecture of peace’. Through projects of a select few based on the criteria of Context, Publicness, Skills, Communality, Trust, Sustainability, Identification, Legitimacy, Modesty and Safety, the exhibition could explore various aspects to sustaining peace through architecture. The ‘House with Dancing Windows’ located at an altitude of 3000m was built by the local community and comprises of three dwelling units which responds to their surrounding context creating architecture that is unique to the place. As the name suggests, the irregularity of the window frames appear as if dancing. This is due to the irregularity of the locally-made rock stone walls which make fitting a regular-shaped window difficult. A local school teacher looks at the photographs of Anne Feenstra’s ‘House with Dancing Windows’ . The locals were included in the process right from its nascent stage. With the help of 104 skilled and unskilled labourers, Feenstra established an architecture that is contextual and relevant to the peace-keeping initiative. (L to R): Yatinder Suri, Country Head, Outokumpu India Pvt Ltd, Anne Feenstra, Principal, arch i platform, Arun Madhok, Manager, Ambuja Cements Ltd addressing the press-conference . Yatinder Suri inspects some of the work displayed. Members of arch i platform at the Jamia Geography department. meet the rising demands”. From 2011 to 2012, different themes such as People, Planet, Profit were explored in multidisciplinary ateliers consisting of representatives and experts of governments, knowledge institutes, engineers and designers in and from India and the Netherlands. The ‘new phase’ being supported by Outokumpu India Pvt Ltd and Ambuja Cements Pvt Ltd, will focus on the subject of ‘Urban Harvest’ and ‘Life Street’. ‘Urban Harvest’ relates to sustainable communities that can be created through the process of recycling of water, urban farming and harvesting energy. ‘Life Street’ deals with the improvement of spaces for public interface. Knowledge Tours are conducted through workshops and talks in several top institutes to promote the sustainable future of the city. The public platform seeks to come up with long term solutions through extensive research work and gathering public opinion which is where the website will play a vital role. Audience from India as well as other countries are encouraged to present their opinion of the future of the city. DELHI 2050 was the only Indian project to be selected amongst 26 projects from all over the world for the esteemed 5th International Architecture Biennale 2012 in Rotterdam, the Netherlands that showcased interesting projects and processes dealing with the ‘making’ of a city. Sketch showing the conceptual development of design. Hexagonal configuration of workstations defined in brick. Steel trusses resting on red stone. 'Jaali' work in cement allows free flow of cool air. space introduced the concept of a hexagonal formation, as stated by the architect, “after deriving various iterations for the spatial layout, the number of workstations was maximised in a hexagonal formation.” This formation of spatial layout helps in accommodating more number of workstations within the restricted space. The encapsulating shape of the work tables creates an illusion of spaciousness without appearing to clutter the interiors. The spaces are thus defined by the workstations dominating the layout. Cement 'jaali' separations between the interior spaces allow for a natural flow of cool air while segregating the private area. They also stand in contrast to the dense texture of brick offsetting from its bold redness. Varying patterns and textures break the monotony of the surfaces. The carbon footprint of the structure is reduced significantly by the use of natural building materials and reuse of resources. The brick is left untreated at strategic locations with some creating a different pattern to break the monotony in the surface. Table tops for the workstations are made of block board with laminate on cantilevered MS sections. Steel trusses placed on red stone act as partition between workstations and can also be used as a clipping or pasting surface for worksheets by the users. The work hall opens into the adjoining cafeteria that serves as a breathing space for its employers. Window blinds in bamboo tied with jute strings also emphasise on the rustic ambience of the interior composition. Public – Interest Architecture Alfredo Brillembourg and Hubert Klumpner talk about the pragmatic multidimensionality of their practice emphasising on making architecture more accessible to people where it matters the most. Photographs: courtesy Daniel Schwartz, Urban-Think Tank. Alfredo Brillembourg received his Bachelor of Art and Architecture in 1984 and his Master of Science in Architectural Design in 1986 from Columbia University. In 1992, he received a second architecture degree from the Central University of Venezuela and began his independent practice in architecture. In 1993 he founded Urban-Think Tank (U-TT) in Caracas, Venezuela. He has over 20 years of experience practicing architecture and urban design. Hubert Klumpner graduated in 1993 from the University of Applied Arts in Vienna in the Master Class of Prof Hans Hollein. Klumpner later worked with Enrique Miralles and Paul Rudolph before receiving a Master of Science in Architecture and Urban Design from Columbia University in 1997. In 1998, Klumpner joined Alfredo Brillembourg as Director of Urban-Think Tank (U‑TT) in Caracas. In 2007, Brillembourg and Klumpner, who were guest professors at the Graduate School of Architecture and Planning, Columbia University, co-founded the Sustainable Living Urban Model Laboratory (S.L.U.M. Lab). Since May 2010, they have also held the Chair for Architecture and Urban Design at the Swiss Institute of Technology in Zürich, Switzerland. Alfredo Brillembourg (L) and Hubert Klumpner (R). Metro Cable – Caracas, Venezuela. Development in informal cities, are definitely not the Western standards, because if they would be, then the problems that we already have – about limited resources and lack or shortage of energy and supply networks – would be much worse. We, as the initiators of this manifesto, refuse to consent to another failure on the part of design in responding suitably to the concerns pertaining to the sustenance of human habitats. We announce our responsibility in undertaking actions and encouraging commitments to communicate a vision for a better India. We call for a comprehensive consideration of its context, equitable justification for architectural actions and ethical confluences that shepherd a shift towards a sustainable, contextually appropriate and innately Indian future. We pledge ourselves to proliferate respect for Indiaâ&#x20AC;&#x2122;s landscape, sensitivity to its communities, reverence to its cultures and pride in its ethos. We acknowledge the need for a different sort of architecture â&#x20AC;&#x201C; one with a revised understanding of the elementals, a new approach to problem-solving and a wiser wielding of the power of design. A different, better India is possible. And we commit to propel a transition towards its truly inclusive future. An advocate of the reevaluation of contemporary patterns of building, Dr Brinda Somaya believes in a careful consideration of alternative building elements in design for effective and contextual response towards sustainable development. TCS House in Mumbai: A Grade II Heritage Structure with a modern, contemporary office space within a shell of a historic building – a metamorphosis of function and meaning. Cavity walls, deep overhangs and pergolas as protection from the wind, rain and sun. and once again reduce efficiency. I feel that the need to create buildings that make a statement should not overtake the necessity to create climate responsive architecture. Economics also plays a very vital role in the adaptation of these energy saving methodologies, which often make a building 15-20 per cent more expensive. Higher capital investment on a project is required for long term gains. The awareness however, is growing especially at the school levels and attempts have certainly been made to create zero discharge projects and re-implement some of these age old strategies in some recent projects. Can you elaborate on the way your practice understands sustainable architecture and how your projects reflect the same? G.I.M Campus: Laterite from the excavated from site has been used as wall fillers, rubble soling and even external cladding. The Nalanda Institiute of Learning: Ideas that have contextual connotations and contemporary forms. Apart from treading the land lightly for the new buildings we build, recycling and restoration of our existing built heritage has always been an integral part of my practice. Ideas embedded in the design: Placemaking in architecture through the conscious design of well placed niches, courtyards and arched entryways. classrooms designed around a courtyard and the roof is so designed to allow north light into all the classrooms. Several sustainable elements like cavity walls, deep overhangs and pergolas as protection from the wind, rain and sun have been incorporated into this design. Laterite from the excavated site has been used as wall fillers, rubble soling and even external cladding. Using the site contours carefully, minimising cutting and filling of soil along with the careful location of the individual buildings on the site succeeded in reducing its ecological footprint. Rainwater harvesting, recycling of garbage, solar power for hot water and the usage of treated water for flushing, air-conditioning and landscaping are some of the additional green features introduced on this campus. In the Nalanda Institiute of Learning, we have once again used cavity walls in several areas and designed wide corridors that act as heat buffers for the classrooms. The classrooms have high volumes which also aid in dissipating the heat by convection. The Nalanda International School in Vadodara was a LEAF (The Leading Europeans Architects Forum) awards 2006 winner in a highly commended category for the use of traditional methods of environmental control. LEAF states “This award is for all companies, individuals & technologies that have made an outstanding contribution to the world of architectural design and build. There is particular recognition of those who have not only had exceptional success, but also demonstrated industry leadership within their respective fields”. With a deep interest in the cultural factors that affect architecture, especially in societies of rapid change, Neelkanth Chhayaâ&#x20AC;&#x2122;s practice emphasises the adaptation of built form to physical and social contexts, especially landforms and landscapes. NC: Neelkanth Chhaya There seems to be a certain ambiguity on what exactly constitutes ‘sustainable’ architecture. What, according to you, is the definition of ‘sustainability’ in the Indian context? NC: Simple, frugal, flexible, diverse, adaptable, appropriatelyscaled and context-responsive would be the terms which would describe a sustainable architecture for India. Let me articulate why I define it that way. In order to discuss sustainability, I think we first have to look at the big picture but quickly get down to specifics. We have a large and diverse population and limited natural resources. Energy too is in short supply. Also, most parts of India have a tropical climate. Therefore: a) Our architecture must consider orientation with respect to sun and breeze as a key organising and form-making principle in order to give comfort with the least use of energy. b) An architecture which allows people to use their skills in the best possible way while using resources as sparingly as possible would be more sustainable in our situation. This implies that we must tailor our technologies not for economies of scale based on mechanisation and industrialisation only, but also on the diversity of skills that are available, as well as appropriate scales of operation for different purposes. c) We are also very diverse in our ways of life. An architecture that allows diverse modes of inhabitation would be sustainable. This implies that we should make spaces that offer or suggest a variety of use possibilities through appropriate scale and degrees of enclosure. Further, it must be an architecture capable of being changed and/or extended, and the user should be able to initiate these changes. Khamir Craft Park, Kutch: Infused with intelligent design, the use of recycled materials like the fascia boards for the roof instil a rural sensibility in the local architecture. Centre for Environment Education, Ahmedabad: Structural concepts explore notions of scale to break out of the ambiguity of concrete. Centre for Environment Education, Ahmedabad: The differing scales are orchestrated such that they inspire both a sense of comfort as well as that of innovation. A building should protect and shelter, modify the extreme effects of weather, and help create opportunities for convivial interaction as well as individual solitude. you aware, makes the workings of the world, natural and human, transparent and understandable. Paul Klee said that the work of art is about “making the invisible visible”! Therefore the expressive and experiential potential of sustainability needs to be explored so that perhaps a more sustainable way of living is brought about. In India, ingenious solutions, which can mitigate the concerns of the environment, exist traditionally. Can you comment on why these intelligent concepts suffer a dwindling importance? NC: New urban life-styles have reduced the time available for adapting and maintaining environments to specific needs. Therefore certain traditional materials and techniques, which were sustainable, are now difficult to use. Thus there is a gradual disappearance of these ingenious solutions. More importantly, the adoption of a consumption-driven economic model distorts economic, political and social relations that were at the core of a more sustainable way of living. Architecture too becomes a product competing in the market, each form continuously fading into obsolescence as new stylistic fads appear in the race for visibility. So sustainable ways of life become “old-fashioned” and the veneer of “new” increases consumption. Rural Knowledge Centre, Centre for Environment Education, Halvad. A strong adherent of a future that is Regenerative, Sufficient and Efficient, Sanjay Prakash looks to a future extrapolated from a past of high consumption and high waste. Known for an innovative design approach, his multidisciplinary studio believes in a healthy mix of originality and efficiency. collared workers could not afford), you got factory shutdowns because garment entrepreneurs could not get, say, embroidery workers to commute to the workplace. So you can “metrify” the provision of affordable housing as a necessary program requirement underpinning fundamental economic viability. Our twenty-first century wave of development cannot create cities in the image or scale of those that were created in the developed world in the first wave of urbanisation in the nineteenth and twentieth centuries. Our cities will be much larger, much denser, and be built much faster than the global cities of the twentieth century. While they will bring millions of people out of poverty, they will contain significantly more populations of poor people than in the industrialising West. Therefore, we will have to discover our own identity and make its own patterns: our own measure, so to speak. Since originality has not been a hallmark of the colonial legacy of our educational system, most Indian professionals are not ready for this change. Embassy of Switzerland and Swiss Development Cooperation, New Delhi: Efficiency defines sustainability in a narrow sense but is also useful. With the expansion of the office, there was a simultaneous cut-down in operating energy, water consumption and enhancement of the life of the buildings. Agilent Technologies Office, Manesar: Measurability does not need to be one-dimensional. An extreme energy and water conserving office, it demonstrates the future of ecologically appropriate office architecture in continental tropical climates, using verifiable measurements. Maati Ghar, a ‘temporary’ exhibition pavilion at the Indira Gandhi National Centre for the Arts (IGNCA), New Delhi: Traditions need to be developed to come alive again. It includes an earth air tunnel ventilation system and a complete use of improved earth construction techniques. A luxury wildlife resort for Taj Safaris Limited, Kanha: Sufficiency and a light footprint can also be five-star. This project involves tent constructions which retain the natural vegetation and drainage, with fogging systems for cooling and floor heating for warmth. Can you elaborate on the way your practice understands sustainable architecture and how your projects reflect the same? SP: After decades of working in sustainable built environment, it is sad that the world now confuses us with being ‘green’ architects. It must be clarified that we are neither. We are neither green (which is just convenient brand for behaviours that may push towards more efficient and renewable resources consumption, but does not address deeper ills of the human condition), nor really are we architects (having somehow journeyed towards creating lifestyles than merely styling buildings). We are sustainable community lifestyle visualisers. In this context, we see Sustainable as containing all aspects of Green, which in turn contains all aspects of the Mainstream. The Mainstream is concerned largely with legal compliance, codes, and quick profitability at least capital costs. Green adds to that the dimension of slower returns at drastically reduced operating costs and substitution of fossil resources with renewable ones. Sustainable on the other hand, as I said earlier, is concerned not only with all these but also issues of: • Sufficiency (how much is enough? ), • Identity (does this belong? ), • Equity (does someone get excluded? ), and • Resilience (can this withstand future shock?). Sufficiency involves developing space standards and linking them to resource consumption. By identity, we also include a ‘living crafts’ building vocabulary, and I do believe that we manage to incorporate equity in our work to some extent. The traditional house was climatically responsive, requiring no mechanical systems to keep it cool, but the modern apartment block or congested squatter settlement is not so. The Energy and Resources Institute (TERI) RETREAT, Gurgaon: A future-ready, resilient, smart-grid building. It includes training facilities and a hostel, with near-autonomous state-of-the-art energy, water and recycling systems and thereby achieves a sense of the ‘campus of the future’. The T-Zed housing development, Biodiversity Conservation (India) Limited, Bengaluru: Materials, water, energy, resilience, identity and equity can all provide for an abundant lifestyle. The project was informally used as a benchmark to calibrate the IGBC Green Homes rating system and achieved a Platinum rating. The Mirambika Institute for Free Progress Education and Integral Human Values, Delhi: Places are for people; they have an identity. It features an open design concept which creates a dust-free environment without creating rooms through reflective surfaces, courtyards, and an integrated vertical passive solar hot water system. The India Pavillion, Internation Expo 2010, Shanghai: Resilience comes in many forms. It consists of a ‘haat’ and a dome, showcasing future technologies like bamboo, ferrocement, herb roofs and walls thereby highlighting construction in a post-concrete world. residents survive growing spinach when the road to Manali and Leh is closed. It is about being able to grow your own food in a world where the oil to run trucks just disappears overnight, say due to supplies. I would like to believe that we internalise all the above principles in our work. In the future, I would also like to see us working towards transforming aspiration (people currently are made to aspire for only what is sold), generating harmony (between mind, body and spirit), and in short, literally breathing consciousness into matter! However, we are not there yet, far from it, and are exploring how such transformational work can be done without making the organisation unviable from a day-to-day perspective. Perceiving design and architecture as an active collaboration between the people involved - the potential users, the builder, the site, the climate, the culture and the architect, Suhasini Ayer likens it to a choreography that takes a life of its own, that you mould with your preference, experience, skills and available opportunities. Suhasini Ayer: SA There seems to be a certain ambiguity on what exactly constitutes ‘sustainable’ architecture. What, according to you, is the definition of ‘sustainability’ in the Indian context? SA: Indian population demographics show that more than 65 per cent is under the age of 35 presently. This implies that reproductive capacity of this country needs to be taken into account in any development strategy unlike those adopted by Western European or North American nations, who presently drive the global economic policies. Sustainability within the Indian context will be an exercise finding balance between growth and stasis. In the building sector, this demographic places an impossible challenge in housing, access to primary resources like water, energy and open spaces, provision of infrastructure like sanitation, waste management and mobility and other civic amenities like health and education. Our models of sustainability cannot be dependent on high-tech engineering solutions that will pull rabbits out of a hat as many of our cities and towns do not have a hat yet. Indian urban planning will need to re-invent the wheel literally as the wheel as we know it is a disaster for the environment; both human and natural. Auroville Visitors Center: The process of building was used as a training exercise for the local villagers in earth construction techniques such as arches and domes and ferrocement roofing techniques. Centre for Indian Studies, Auroville: An interesting play of materials between rammed earth walls, waste stone strips and exposed concrete. Prarthana Housing Project, Auroville: This housing is laid out along a pedestrian street with a mixed development model of diverse dwelling units. The building envelope design is contextual to the climate interpreted with local building materials. Kindergarten, Auroville: A reinterpretation of the local vernacular style in a minimalist architectural language using earth as the predominant building material from foundation to roof. Indian culture of frugality and cooperative transactional society mores is presently being sidelined in our race for a double digit growth rate fuelled by consumerism and compartmentalised lives. Auroville Library: The openings are deep set within fins and roof overhangs to prevent glare and heat gain without compromising on the ventilation and lighting. accompanied with other supporting interventions. Maybe it is time to redesign the designer; the present educational process of architecture is one of the impediments to sustainable architecture. Due to our work and reputation, many of the clients who approach us are already sensitised and aware but during the process of planning and designing, the present methodology of development muddies the decision making. Between the planning regulations that are counterintuitive, uninformed decision making process, financial systems that values speed/quantity over quality and the lack of coherence in our construction industry it is almost impossible to bring about a lasting change. I tend to use the projects we do as a “client education” program, I talk to them extensively and refer them to materials and project so that their aspiration for green or sustainable project is matched with information on what it implies. We provide a checklist of ideas/technologies and groups; induce the clients to re-evaluate their program so that building less is sustainable building. During the preliminary stages of the planning and design, I hold back from the act of drawing or sketching, so that the script remains flexible playing out multiple storylines. This can be a deterrent in the present climate where developers want the project designed and ready for tendering over a weekend. Finally, with most of our projects, we design them so that they are adaptable, keeping the storylines open like the people and the functions within. Over specialised perfection is fatal like in nature, human needs evolve and buildings need to be adaptable to be sustainable too. With a strong belief in putting the commercial pressure aside for a more tangible, humane, perceptible and sustainable architecture, Anne Feenstra makes research an inclusive part of his design process, by delving into the complex layers of history and culture, into the specifics of the environment, biodiversity, building materials and craftsmanship. Through a constant social, cultural and economical engagement, he strives for a better architecture and urban design. Anne Feenstra: AF There seems to be a certain ambiguity on what exactly constitutes ‘sustainable’ architecture. What, according to you, is the definition of ‘sustainability’ in the Indian context? AF: While many are trying to give one definition after another, I think it is important to point out what is NOT sustainable. In 2010, while observing the massive rows of unfinished residential blocks, Mario Botta asked me in front of the Sushant School of Architecture in Gurgaon, “Dear Anne, what is this ? !”.I answered; “Dear monsieur Botta, this is uhh...this is certainly NOT sustainable!”. Let us also not fool ourselves by the idea that sustainability is something new. If one traces history, many systems have been developed by cultures that are in balance with nature. In Hindi, the word ‘Tikau’ would probably give a good idea of what it is; something can be produced ‘Tikau’ or something can be built ‘Tikau’. The arch i platform, DELHI 2050: Looking at a long term plan for self-sustenance in the Indian capital by reviving the ecology of the city. Kargyak Learning Centre: Capacity building and creating ownership by involving the local community in the building process. Second of all, India has in the last five years, following very good arguments, gone beyond the idea that a rating system like LEED can provide the answers needed in the Indian context. Most professors and students at SPA, CEPT, KRVIA, RV College etc. would give you a stern correction when one would mention LEED. Third; if one would believe in the concept of ‘Cradle to Cradle’, it means that if one messes up more, one has to clean up more, one can see much better how the mess can already be reduced at the stage of production. In that sense, California is showing a better way forward than Texas. The average per capita figures of energy consumption, CO2 and other emissions in India is much lower than many other countries. But let us not forget that some individuals in India can compete easily with the highest carbon footprint personalities of the planet. There unfortunately does not seem to be a need for justification and there is too much admiration! Kargyak Learning Centre: Thinking it through with detailing. There appears a need to extend the fundamental understanding of ‘sustainability’ and to incorporate more relevant aspects in its conception. In reference to our context, what do you think is missing? AF: More international exchanges would be a good start. Last year, we were very lucky to be able to go with Tanvi Maheshwari and Kushal Lachhwani of arch i platform to the International Architecture Biennale ‘Making City’ as we got selected with one of our projects and processes! It was very exciting that the Dutch brought everybody from the whole world for this event in Rotterdam and a great experience to exhibit on this fantastic world platform, but we actually learned much more from people who work in and on cities like Istanbul and Sao Paulo, than from people who work on very static or even shrinking cities like Detroit, which lost 237,500 inhabitants in the last 10 years. Sustainable Mountain Architecture Exhibition, Nepal. We discussed if it would perhaps be an idea to have a BRICS Architecture Biennale! I am sure India would do a marvellous job of hosting this, while experts from say South Korea and Netherlands could be invited to be observers. In addition to this long term hope, I sincerely wish more serious public debates will happen in India about architecture and the built environment. In the Netherlands – with only 17 million people – we have 62 (!) architecture platforms in the country. We discuss public space, infrastructure interventions, architecture and ‘Making City’, go on excursions, organise contemporary architecture city tours. At these very dynamic platforms academics, private sector, government, architects, designers and planners all come together. Initiatives are being taking in Mumbai, Chennai and few other places to provide this space for discussion. But much more needs to be done. How many people in India write about making cities? How many people in India can call themselves an architecture critic? International Architecture Biennale 2012, Rotterdam. DELHI 2050: A Knowledge Tour organised at Pearl Academy, Noida. In both, experimentation and innovation are important as we should try to use the knowledge that is available to us. Alternatives HQ in South Delhi designed by Ashok B Lall or the recently completed low cost fishermen villages by Nandan Balsavarâ&#x20AC;&#x2122;s ARTES in Nagapattinam at the Tamil Nadu coast are good examples of architecture done in a different, more inclusive and environment-friendlier way. Another positive example is that, as far as I know, no new shopping malls are coming up in Delhi in the last two years. That is an interesting development as these malls have always been presented as the ultimate paradises that are very hard to resist. Can you elaborate on the way your practice understands sustainable architecture and how your projects reflect the same? AF: If quality is the result of an intelligent effort (John Ruskin), perhaps a responsible and sustainable architecture starts with research, or simply put, doing your home work. All my teams, all our processes and projects are based on that principle. Our work in Afghanistan has already received a lot of attention, but I would take the opportunity here to talk about an ongoing project with WWF and Forest Department (FD) in East Sikkim. On-site: In conversation with the locals. Working with the locals to protect the habitat of the Red Panda, Sikkim. Conserving old buildings through the use of local materials and the retention of features that made them climatically responsive, is a course of design that Vikas Dilawari strongly believes will be more sustainable than the introduction of artificial parameters. His design process revolves around minimum intervention and retention of the maximum, thereby contributing greatly to energy and resource saving. Elphinstone Building, Mumbai: Conservation by restoring the building to the state the architects had originally intended them to be. Lal Chimney, Mumbai: The project sought to conserve their existing lifestyles and social interactions while giving the buildings a new lease of life, with increased property value. While repairing, restoring and recycling we try to conserve resources and try to make it as economical by doing minimum intervention that is essential for prolonging the life of the fabric. Royal Bombay Yatch Club, Mumbai. Craigie Burn Bungalow, Matheran: Use of traditional materials of construction, local materials, respect and highlight the architectural character and undertake minimum interventions. YMCA, Mumbai: Keeping the simple colonial structure intact and highlighting its features; ornamental friezes and the use of right colours that could blend in with the rest of the architecture. with present day light funnels can enliven interior spaces. After all, its meets the one of the sustainable definition i.e. “taking less from the Earth and giving more to people”. There appears a need to extend the fundamental understanding of ‘sustainability’ and to incorporate more relevant aspects in its conception. In reference to our context, what do you think is missing? VD: Our practice predominately revolves around Conservation which means maintaining someone else creations and whenever there is an opportunity of intervention vis-a-vis addition we try to incorporate these past wisdom which is environmental conscious and energy saving. As far as possible, we avoid using artificial means of cooling rather than accepting it as a present day necessity. We try to convince and educate our clients, sometimes they agree and sometimes they do not. While renovating the interiors, we also emphasise on energy saving light fixtures and are slowly incorporating solar panels too. In the introductory piece of IA&B’s column on Architectural Education, veteran design educator, Architect Sen Kapadia writes about multidisciplinary learning and the fact that learning is sought, not given. here was a time when education was enough to tame the loitering mind; enough to allow culture to percolate into a civilisation. Then again there was that time when focused education honed us for professional performance in an urbanised society. These assumed proportionate availability of ideal teachers, libraries and an excellent syllabus evolved by inspired scholars, with acute attention for individual needs and the growth within. Seminars, debates, discussions, search and expressive resolutions formed a theoretical base. Students produced inventive presentations that merited high in socio-cultural impact. Such possibilities arrive only after dedicated inquiry into congeniality of various disciplines. This expands horizons of knowledge and ensures discoveries of new realities. Suddenly, with increase in competitive environment, studies were reduced to a battle field for accumulation of marks at each examination. With such a dense synopsis, the Kamla Raheja Experiment started in 1992 with a goal to arrest the drift in architectural education. In pursuit of illusive profile for a new syllabus, a positive and inclusive system seemed appropriate. Without negating existing archaic courses required for redundant exam oriented teaching. K.R.E. converted them into discourses by deconstructed university prescribed syllabus. Interactive discourses by non-tenured scholars put dynamic charge into these topics to lift them from banality into deep inquiries. These events produced a new and congenial academic environment for learning. This notion was nourished by open minded approach to learning by its enthusiastic and largely adjunct faculty who practiced and then preached the value based professionalism. There is also an express need to encourage self-learning: a process that encourages discoveries by personal inquiry. Sen Kapadia is an architect, educationist and planner based in Mumbai. He has worked with Louis I Kahn and the space management office in New York. He is instrumental in conceptualising and institutionalising the KRVIA (Kamla Raheja Vidyanidhi Institute for Architecture) in Mumbai. Sen Kapadia has written extensively on design, architecture and visual culture and has lectured in premiere institutions in India and abroad. He lives and works in Mumbai. Technology as an instrument for change in education: a school can focus on producing learning modules that can be usable universally. that encourages discoveries by personal inquiry. When this is ingrained, the mind will be on a flight to wonderment. Education will be a preferred experience. Perhaps there will be a new dawn. This column invites eminent academicians, ethical teachers, teaching architects, institution builders and design educationists to comment on architectural education (and design education as an extension) in the context of India. Concerned architects / academicians / educationists / teachers and students are invited to write to us / call us / email us for further discussion. Your deliberations / observations / critique / counter-arguments and agreements will be deeply valued. We must create a meaningful community of like-minded people to negotiate our future as professionals and responsible citizens of a globalising India. We must hold ourselves responsible for the quality of architectural and design thought in the coming decades. Please send your feedback / comments to iabedt@jasubhai.com. 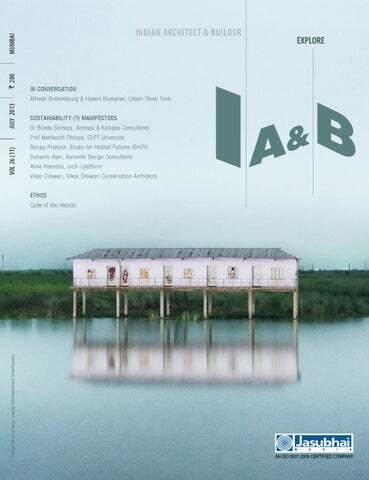 IA&B believes that this issue is of prime (and unprecedented) importance at the moment for the future of architecture in India. In a structured narrative that analyses methodology, projects and philosophy, ‘Architecture for the World’ chronicles Kenzo Tange’s journey to becoming an authoritative pioneer of 20 th century architecture by epitomising his life through his work. Hiroshima Peace Memorial Exhibition Hall (Front View). Staircase and Pilotis space under the Exhibition Hall. the modern tradition of building at the time, as he plays a pivotal role in the post-war period in Japan. This conversely projects Tange as the anchor in a textured historical context. Articles that explore Tange’s process by Toyokawa Saikaku showcase intricate interlinkage between his research at the Tange Research Laboratory and his physical buildings. Saikaku writes of the differing facets of Tange’s interests and how they cumulate in a comprehensive design process that strives at a deeper connection with history and, at the same time, with its present users. His disfavour of iconic buildings in the search of meaningful architecture is clearly seen in the way his quantitatively driven studies of population migration and the economic benefits of urban centralisation, were actively utilised in the building of the office towers in the 1950s and the 1960s. Further, as Yasufumi Nakamori records in his commentary, Tange had a universal response to architecture rather than a regional one. At a time when Japan, post the World War and subsequent American occupation, was gripped with the ‘tradition debate’, Tange was largely influenced by the Gropius and Drexler ideals of a simplified notion of tradition. While he looked to incorporate aspects of historical Japanese architecture, he was, in essence, a ‘modernist’ with global bearing and aspirations. Tange’s ‘international ‘engagement with the CIAM, teachings in MIT and his inclination to the philosophy of Corbusier and Michelangelo only further emphasise the different aspects of his career. The ‘networks’ that were fostered during the evolution of the Japanese modernist movement through a medium of horizontal and vertical connections across the spectrum of design, engineering, critique, artistry and photography is thereby an evident part of the entire narrative. Boston Harbour Project Model. (Top Left & Above) Scans from the book. Space Frames investigates issues of architecture and environment through the medium of photography. To contribute, write to us at iabedt@jasubhai.com or to the curator Dr Mathew at dr.djmathew@gmail.com. 90  – The Leh Houses in Jammu & Kashmir are built on elevated unclouded sites facing the south. The old town of Leh, with its narrow alleys and lanes, consists of almost two hundred such houses, fashioned with a distinct Tibetan vocabulary. – Responding to their situation and extreme weather conditions, the houses utilise indigenous materials like stone, mud and timber sandwiched between thick rammed earth walls. They are generally built on stone foundations employing local clays and soils ingeneously to create waterproof roof layers and dust-free plastered surfaces. The architecture of our habitats has, at its core, an age-old code through which we extract the order of the world from our own living. It is not an external imposition, but instead a process that lies deep within us, in our own idiosyncrasies. And so, at the center of all that is diverse and distinct, lies one fundamental invariant feature – the code – sprouting from ordinariness to define identity, often unconsciously so. Some of the most eloquent responses to Indian realities are found in the architecture of our habitats. General, yet, profound reflections of life, habitats are the most fundamental archetypes – cohesive and implicit reactions to the forces of situation. Unique to their context, they are distinctly identifiable with the place of their being. An important junction for caravan trade on the Silk Route for centuries, the culture, language and religion mainly come from Tibet. Minor architectural developments were initiated during the reign of the Namgyal dynasty in 1600 AD. 91  – The Bhungas of Kutch are single cylindrical structures, placed close to each other to form a house. They comprise of dome-shaped bamboo and thatch roofs and walls of mud, twigs and dung. – The circular design and independent structure helps resist wind pressure and earthquakes. Thick mud walls, meagre openings and overhangs keep the interiors cool. – The interiors are simple and walls are painted beautifully depicting colourful geometrical and floral patterns with inlaid mirror-work and local textiles. The natural extremities of landscape and climate are consistently negotiated through architecture. And the most essential responses to these extremities are found in the remotest of lands – candid expressions of a restrained availability, in terms of materials and means, manifested proudly in native forms and skills. It is egoless and inclusive, and yet the architecture is not exclusive of the individualities that orchestrate it. In the process, the simple act of building begins to manifest complex, internal and almost sacrosanct implications. The region developed organically inhabited by the ‘Banjaras’ or nomads. Traditional salt production is a recorded 600-year-old economic activity. The epicentre of the 2011 Gujarat Earthquake was experienced here. The underlying idea is adequately specific, so that it negates, through a mix of practicality and ethics, the fear of what happens naturally. 92   â&#x20AC;&#x201C; The Bamboo Houses of Assam are detailed to combat heavy monsoons. The floor is a bamboo weave that allows water to flow in, while the inhabitants utilise the canoe stored in the stilt area below. The belongings are protected by putting them up on the bamboo loft. The roof is built with local grass and can last upto ten years before demanding a replacement. â&#x20AC;&#x201C; The Sema Houses of Nagaland follow a similar principle. The bamboo weaves make the walls and floors porous allowing cross-ventilation and natural lighting. An earth plastering is often done over the close-knit bamboo wall for further protection. And men build as naturally as birds do. While the materials and techniques change drastically with location, the ethics of building, with due and profound respect to nature, remain central. Crude in their structure and unrefined in form, the habitats become the immediate outcomes of contextual parameters. Throughout history, the region is known as a physical and cultural bridge between India, East Asia, and South East Asia. The region is predominantly inhabited by tribal people with a fair degree of diversity even within the tribal groups. 93  – The Agraharam Houses of South India are row houses with sloping roofs and common walls lining a street. The front space of the house is divided into an outer and inner ‘verandah’ with a raised plinth used as a seating area. A typical house comprises of an open courtyard in the middle and wooden beams with terracotta tiles for the roof. – The house is characterised by symmetry and decorative features such as mouldings, cornices, and large openings. The backyards of the houses are linked by narrow lanes. The street in front of the house transforms itself into an active community space. As the theme is set by elements of placemaking, the variations are specific and unique. In moderate situations, more patient and seemingly permanent responses emerge. While geography continues to dictate form and material, culture and socetial systems gain prominence and govern the spaces around which life revolves. There are variations in repetitive patterns and alterations in sequential regularities, but in the end, all incongruences converge in a complete harmonious idea. Many Pallava, Chola and Pandya kings established Brahmin settlements in Tamil Nadu which later migrated to other South Indian states. Traditionally, they abutted the temple and life revolved around the rituals of the community. 94  – The Kath-khuni Houses of Himachal Pradesh consist of stone and timber walls, constructed in an indigenous style of construction, in which the walls are made with alternate courses of dry stone-masonry and timber without any cementing mortar. – Built to withstand the extreme low temperatures of its locale, a typical house comprises of a cattle shed in the ground floor, an elaborate storage in the first floor and the living areas in the single or multiple floors above. In the architecture of our habitats, every space gains character from the events it harbours. The action of moments, the people involved and peculiar situations shape architecture. And so, typology no longer remains an issue of form – it becomes an issue of use. Thus, within a system of similar building techniques, similar forms embrace multiple meanings. In this ambiguity of form and purpose, we find instances of divergent functions and multiple layouts while the fundamental pattern from which they emerge remains unswerving and coherent. The elements of architecture remain consistent while the levels of their finesse vary with the economic situation. A typology, thus, finds its presence throughout the landscape defining the way people live in that landscape and in return, being defined by the meeting of the two. The history of the villages of Himachal Pradesh dates back to 1100 AD. The rulers of this region belonged to the Rathore Clan. Today, the villages are reputed for their apple orchards and cattle rearing which is their main source of income. 95  – The ‘Banglas’ of West Bengal comprise of a public entrance that leads to a courtyard, the public ‘baithak’ and a ‘puja’ area which are social spaces. These lead to a study and other semi-private spaces. The first floor is entirely dedicated to private spaces. – Balconies run along, both, the ground as well as the first floors and act as buffer-spaces, which moderate the extremities of climate. The ‘Bangla’ represents a confluence of cultures, born from traditionalism and colonialism. The forms and appellations evolve, but the patterns remain intact, unchallenged, reflecting a strong ingrained native understanding. Kolkata’s recorded history begins with the arrival of the English East India Company, consolidating its trade business. Prior to this, it was a part of an estate belonging to the Mughal emperor; the taxation rights held by private landowners, or ‘zamindars’. 96  – The ‘Havelis’ of Jaisalmer in Rajasthan are built as grand mansions featuring courtyards, the number of courtyards varying with economic status. They are characterised by ‘chajjas’ (sunshades), ‘jharokhas’ (balconies), ‘jaalis’ (screens) and archways. Large corridors, pavilions and ceilings which resemble those of palaces are typical. – Ostentatious carvings, etched out with infinite detail and then painstakingly pieced together in different patterns on surfaces, each more lavish than the next, depict status and wealth. Coloured in various shades, the ‘Havelis’ often adorn wall paintings, frescoes. And so, responding to economic structures and incidental prosperity, the architecture employs the finest crafts in its making. While ingenious evolutions continue to respond appropriately to contextual influences, fine details control and articulate the spaces within enclosures. This employment of architectural devises bears no restriction on the habitual expressions of craft as they attain complete finesse and beauty. Even in the crudest examples, the form is finely detailed and embellished. In the scheme of things, the layout is usually consistent with the established patterns that define it. The code thus begins to impose as naturally as memory and intuition. Jaisalmer was a halting point along a trade route of India and Asia. During Islamic invasions, it escaped direct conquest due to its geographical situation in the desert. During the British Raj, it remained a princely state ruled by Rajputs. 97   – The contiguous pink city dwellings in Jaipur form the basic urban fabric. Conforming to a rectangular or square shape, the plan typically comprises of a ‘poli’ (entrance), a ‘tibari’ (courtyard), ‘kothis’ (rooms) and a ‘chaubara’ (chamber). – Façades show ‘gokhdas’ (sit-outs) on either side of the entrance. The dwellings range from a single courtyard house form to an assemblage of multiple courts, depending on the status of the owner and number of family members. With change in situation and possibilities, the archetype changes; the typology remains intact. Rooms change orientation, courts change scale, spaces change sequence and the nomenclatures vary. But the influences that shape the plan remain. Deep-rooted ideas - ideas that define the fundamentals of space-making, remain unchanged in their essence, altering connotations and relationships once in a while. Jaipur was founded by Maharaja Sawai Jai Singh II consulting Shilpa Shastra, Vaastu Shastra and similar classical treatises. During the regime of Sawai Ram Singh, the whole city was painted pink to welcome the Prince of Wales. 98  – The Pol Houses of Ahmedabad comprise of the ‘Oatla’ (entrance platform), ‘Khadkee’ (main entrance), ‘Chowk’ (courtyard), ‘Parsal’ (verandah around the court), ‘Ordo’ (central hall), ‘Diwankhana’ (formal living space), ‘Paniyara’ (storage), ‘Baithak’ (informal living space) and ‘Agashi’ (rooftop terrace). Adjacent houses share side walls and have minimal frontage. – The street façade is heavily treated with wooden structural and decorative elements, including carved columns, brackets, window shutters and balconies. The essence of a Pol is a network of narrow streets, shrines, open community spaces and ‘chabutaros’ (bird feeders on a raised pole). Culture is a consistent influencer in India. In the paradigms of our cultural identities, we find idiosyncratic traditions. At times, traditions are incredibly common yet intrinsic to the place where they are manifested in the built fabric. Intricate craftsmanship, hierarchies of enclosure, privacy gradients and combinations of built and open are defined by and in turn define the culture of the place. In this relationship that our habitat shares with its local structure, we find individual expressions of the facade, fenestrations, stairwells, balconies, brackets, courts, rooms, ladders, cabinets and everything within. Mahmud Begada, the ruler, fortified Ahmedabad in 1487. It became the provincial headquarters under the Mughals, until it was surrendered to the Marathas. The Indian freedom movement developed here under Mahatma Gandhi. And typical elements of the grain narrate the story of this culture. The elements absorb and dissolve into a fabric of relationships – with nature, with history and with community. Collective ideas show great tolerance to individuality, thus rendering each house unique, even in a uniform whole. – The Dawoodi Bohra Houses of Sidhpur imitate Victorian architecture in a ‘shared-parallel-walls’ typology with deep house plans having three (or four) sequential rooms one behind the other. A typical Bohra House comprises of ‘Otla’ (entrance platform), ‘Deli’ (arrival space), ‘Avas’ (courtyard), ‘Parsali’ (verandah), ‘Ordo’ (room) and the ‘Agashi’ (terrace). – A unity of facades is achieved by similarity of building types, materials of construction and commonality of a design vocabulary. The surface of the facade is visually broken by ornamented columns, brackets and mouldings, at times bringing multicoloured cohesion to the streets. The enclosed balcony takes the form of a window-seat looking into the street. However, our habitats are incredibly sensitive to change. In settlements that are completely regulated by systems of planning and collective living, influences of alien styles get wrapped in images for incorporation. The symbolism and iconography of the native belief stays. What also remains persistent is the scheme, enabling fine blends with conflicting ideas evolving new adaptations, unique to its place. With contact and exposure, there is a metamorphosis in form and detail. In the former, the idea evolves while in the latter, the craft does. In both the cases, the distinct identity remains as the pattern; and the skill that enables ideas and crafts remains shielded from influences. In 1000 AD, under Solanki rulers, Sidhpur was at the zenith of fame and glory. It was home to the Dawoodi Bohra merchant community that travelled to Europe for trade. In 1400 AD it was brought under the Mughal rule by Akbar. 100  – The Nalukettu Houses of Kerala are rectangular structures with sloping roofs laid with tiles or thatch on wood and timber roof frames. Within, four blocks are joined together by a central courtyard open to the sky. – ‘Thatchu Shasthra’ (Science of Carpentry) and ‘Vasthu Shasthra’ are the chief governing sciences in its architecture. The skilful choice of timber, accurate joinery, artful assembly and delicate carving of wood work for columns, walls and roofs frames is the unique characteristic. And, as always, form continues to follow climate. Our houses, the most private and individual of our architectural domains, are hence understandably receptive to its atmospheres. But the idea of the code is sacrosanct. Thus, the details and devices employed take the simplest but not the easiest route to the solution. [ 27 ] Recurring typologies of universal elements find incredibly diverse manifestations. Each courtyard, window, roof, column and capital is indeed practical, but unique to the last detail. And an inherent identity continues to ensure that a courtyard in the Deccan is invariably distinct from that of the desert. For centuries the Malabar region, was ruled by Cheras kings. In 1757, it came under Hyder Ali of Mysore. It was ceded to the English East India Company in 1792 and finally came under the princely state of Cochin and Madras state in 1947. In the process of expressing individuality, the identity is never lost. 101   – The typical Chettinad Houses in Tamil Nadu are tile-roofed with a small two-storeyed tower at both ends in elevation. The basic plan consists of a ‘Thinnai’ (outside verandah) with a room for conducting business, an interior courtyard to be used in ceremonies, with a raised seating area, a series of rooms opening off the courtyard, for prayer, sleeping and storage and a small courtyard behind for cooking. – The houses display ornate embellishments like glasswork, intricate woodwork, spectacular ceramic tiles, and carved stone, iron and wooden pillars. Houses become the first and the most permanent expression of this identity and, hence, of our prosperity. They become reflections of the economies that enable them. Being the most personal of all realms of architecture, they adorn the most eloquent and the most affordable skill. Embellishments and ornaments thus express more than merely finesse and taste – they become formal manifestations of our individual aspirations, our collective sensibilities and our cultural obligations. Like architecture, identity too is encoded in the culture of a place. The Chettiars were considered as elite and enterprising among the trading communities. They travelled widely in South East Asia looking for opportunities. They played a dominant role as private bankers, money lenders and financiers. – The Wadas of Maharashtra are typically large buildings of two or more storeys with groups of rooms arranged around an open courtyard. Wadas being introverted, the central courtyard is the source of light, ventilation and space for social activities. The entrance from the street has platforms on either side that encourage interaction with the street. Water is collected in open tanks called ‘Hauds’. – The most significant feature is the zoning of public, private and semi-private spaces. The ground floor comprises of the courtyard with the cattle shed (later offices) and storage. The first floor has the ‘Durbar’ (living areas) while the floor above is exclusively used by the inhabitants. And so, as culture and societies change, the architecture of habitats undergoes transitions. And as always, the psychology of human relationships is kernel, while ingenious practical modifications create exclusive individual units within inclusive collective communities. In 1625, under the Marathas, initial developments of the town into ‘peths’ began. The Peshwas succeeded the Marathas in 1720. Settlements developed around the Peshwa Residence into wards that centered around the village life. – The Chawls of Mumbai are often four to five storeys of about 10 to 20 tenements, referred to as ‘Kholis’, which literally means ‘rooms’ on each floor. The architectural similarity between all Chawls is their balcony corridors which look into the common courtyard and allow inhabitants to interact with each other. – A typical ‘Kholi’ or tenement consists of one all purpose room, that functions both as a living and sleeping space, and a kitchen that also serves as a dining room. A frequent practice is for the kitchen to also serve as a bedroom. The ‘Mori’ (toilets and bath) and the staircases are common shared facilities. Communities and the way we live in them are undoubtedly influenced by the economic engines that govern enterprise. At times, habitats become structural expressions of the very forces that dictate this enterprise. And in a seemingly regulated and governed system of things, our habitats, out of sheer necessity, metamorphose a scheme into a typology, which continue to linger long after the forces that shape them cease to exist. In the course of time, what remains is a trace of the force and the footprint of the type. As different events, traditions and living patterns co-exist, distinctive characteristics arise from their combined situations and infinite habitats come together in a single unified fabric. Educational and economic progress began during the British rule. The textile mills contributed significantly to growth in the early 1900s. With the transformation into a major industrial metropolis, mills were shut down and immigration increased. The forces that shape our habitat are unique to our land and its landscape. This implies that the architectural responses to the same are implicitly unique and specific. This also implies that while global forces and surge of speculative developments define our contemporary lifestyles, we are consistently being alienated from the patterns that shaped and defined our individuality and our architecture. While modernism has wonderful things to offer in terms of technology, materials and means, the architecture of our land cannot be discarded as kitsch. In our architecture, lies the code that defines our living and the spaces that emerge from the continuities of these patterns. We cannot, even in the most rash of our actions, discard these intrinsic patterns for the want of the byelaws. For unless these are continued, unless these are understood and expressed with contemporary means and methods, unless these become a part of our living atmosphere, our identity â&#x20AC;&#x201C; individual and collective â&#x20AC;&#x201C; will be lost in the bargain. Modernity for the sake of modernity will be the end of our individuality as we lose our future to a global world â&#x20AC;&#x201C; a world where no street is unique to its culture, no square is identifiable with its context and no place is ever made like it deserves to be. The images, drawings and references in this column are representational only. All drawings are to proportion and not to scale. The scale of facts and particulars at the bottom of each page is approximate and true to the best of our knowledge. Space Frames investigates issues of architecture and environment through the medium of photography. To contribute, write to us at iabedt@jasubhai.com or to the curator Dr. Mathew at dr.djmathew@gmail.com. Labib Mohammad Sharfuddin Labib Mohammad Sharfuddin is a Bangladeshi photographer with a keen interest in Documentary photography. He was born on November 5 th 1989 in Rangpur, Bangladesh. He is a business student specialised in marketing. He has studied photography from Pathshala (South Asian Media Academy) for three years. There he has participated in various international workshops conducted by prominent professionals and artists including Munem Wasif, Abir Abdullah, Peter Bialobrzeski, Laurence Leblanc, Philip Blenkinsop and Shahidul Alam. Indian Architect & Builder's July 2013 issue.